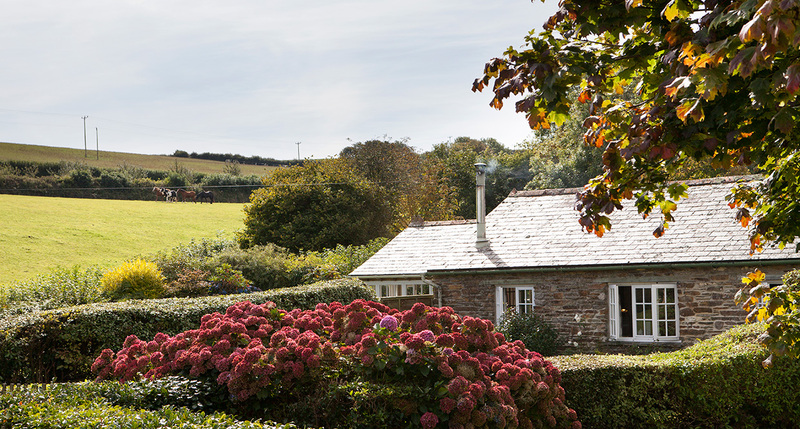 Orchard Cottage, once a hay and apple store, nestles into the valley a ten minute walk from the centre of Treworgey Farm. 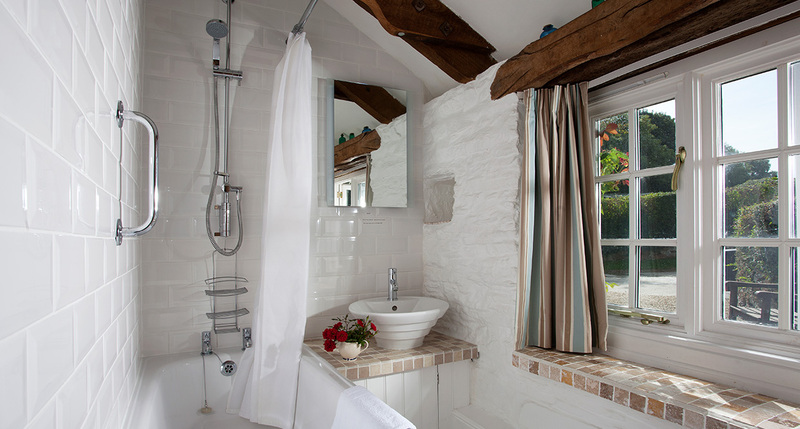 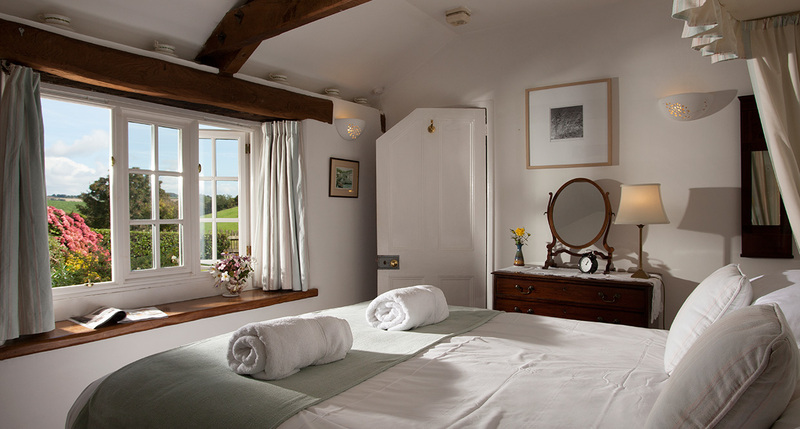 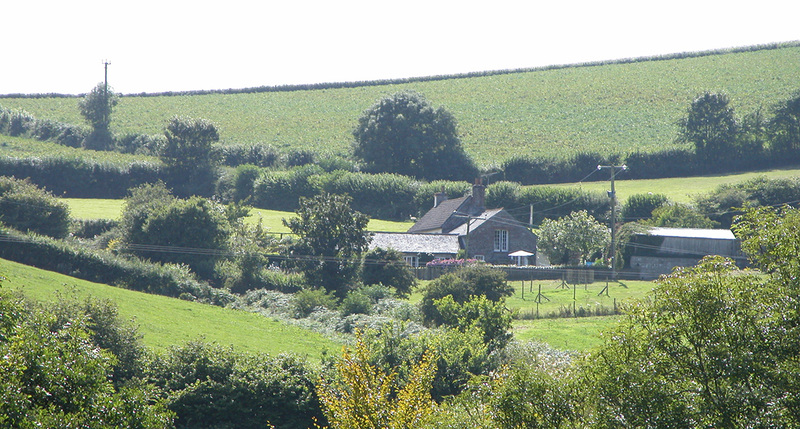 It is perfect for those seeking a really secluded escape, half a mile away from the main site. 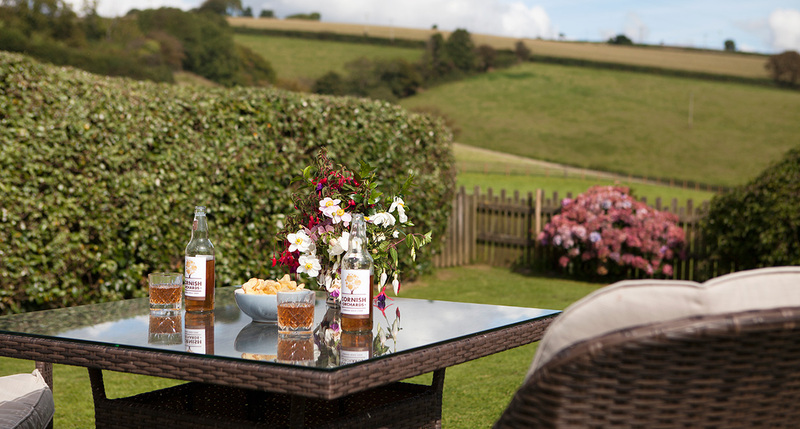 Your only neighbours are us, the owners. 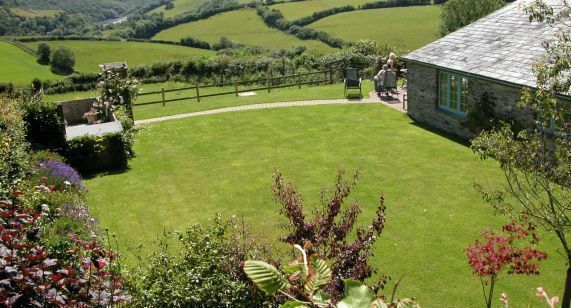 Orchard has wonderful views over patchwork fields and a spacious, level, enclosed and very private garden. 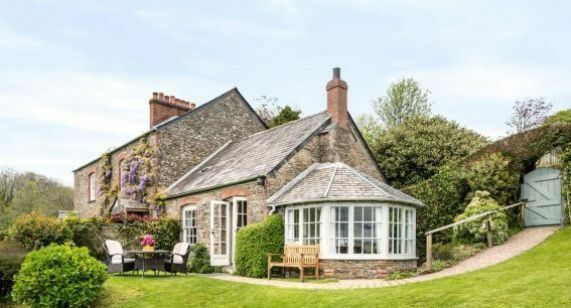 Enter an attractive slate-roofed conservatory with pretty small-paned windows and French doors opening onto the garden; an ideal dining room for romantic suppers, or occasionally a separate space for a small child's folding bed or cot*. 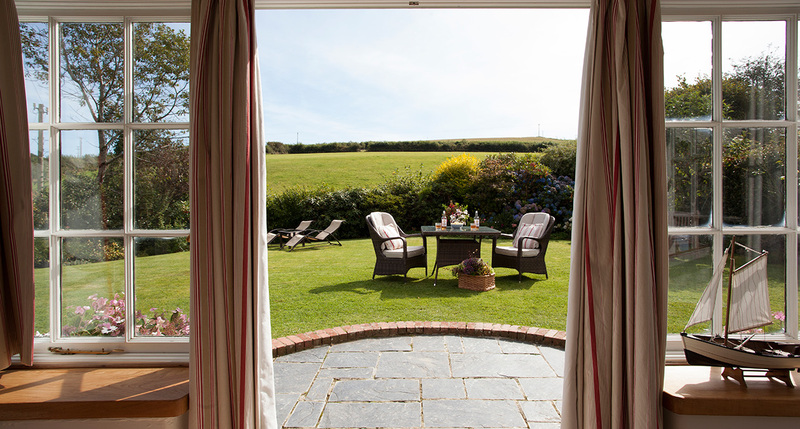 Orchard has no stairs and a level approach from your parking through the spacious, level garden. 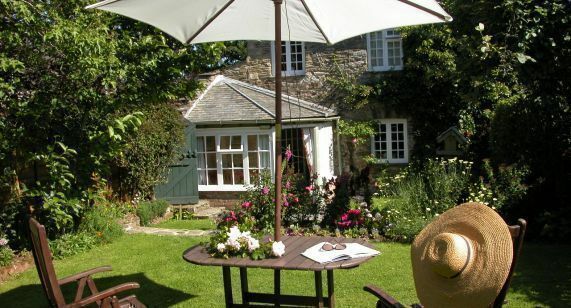 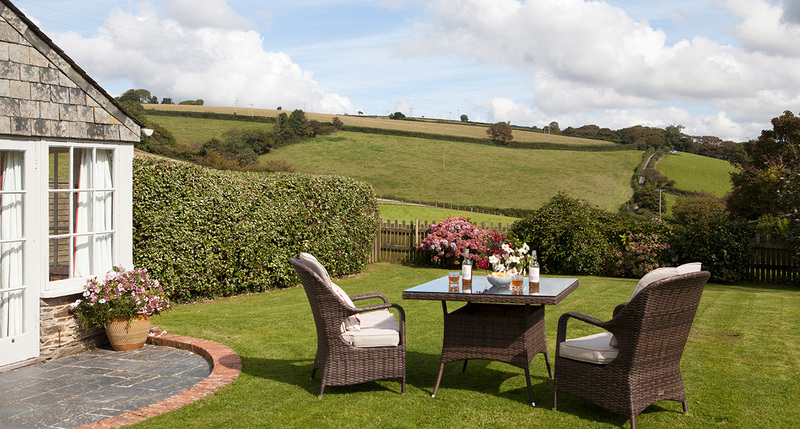 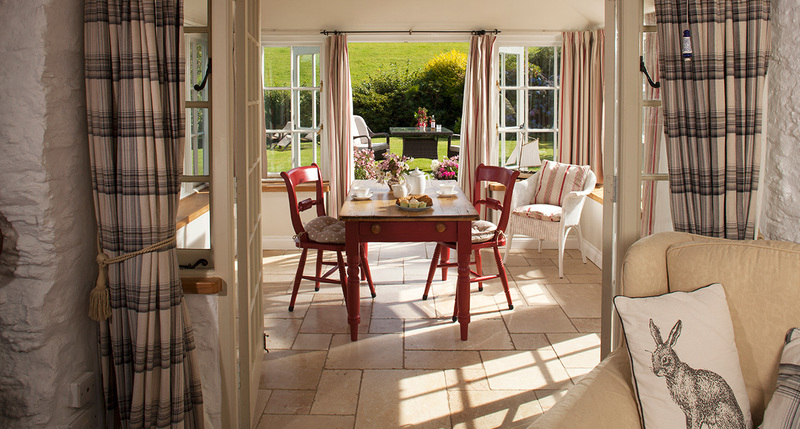 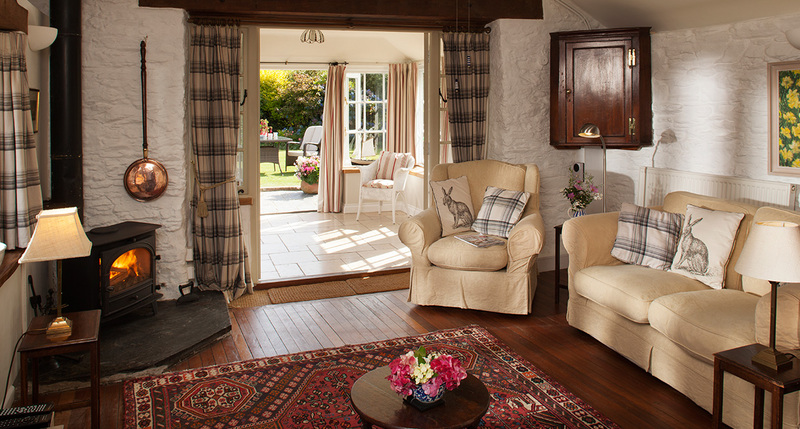 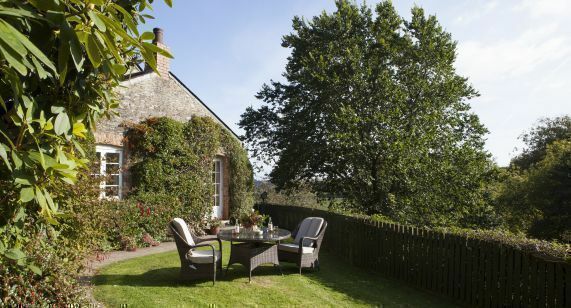 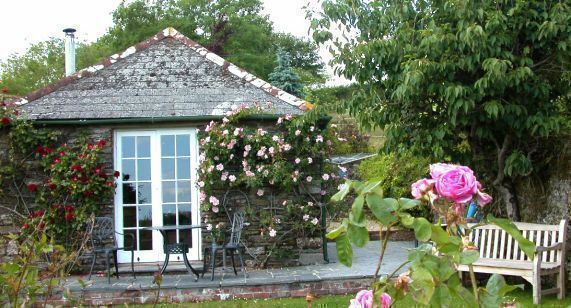 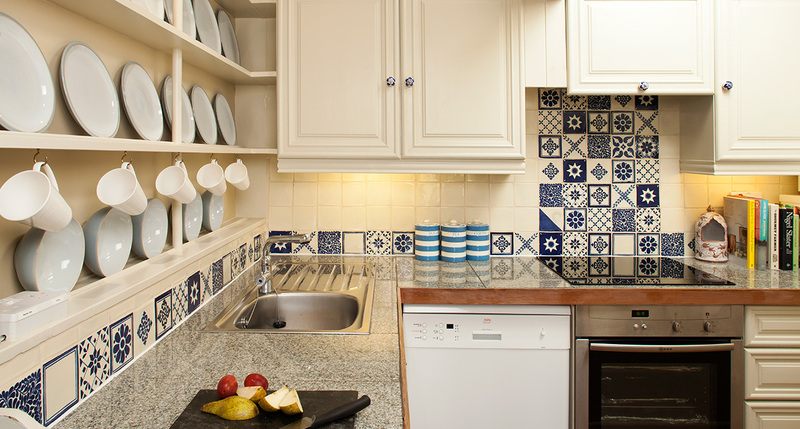 The delightful sun-trap garden is bordered by open fields, and offers complete seclusion.